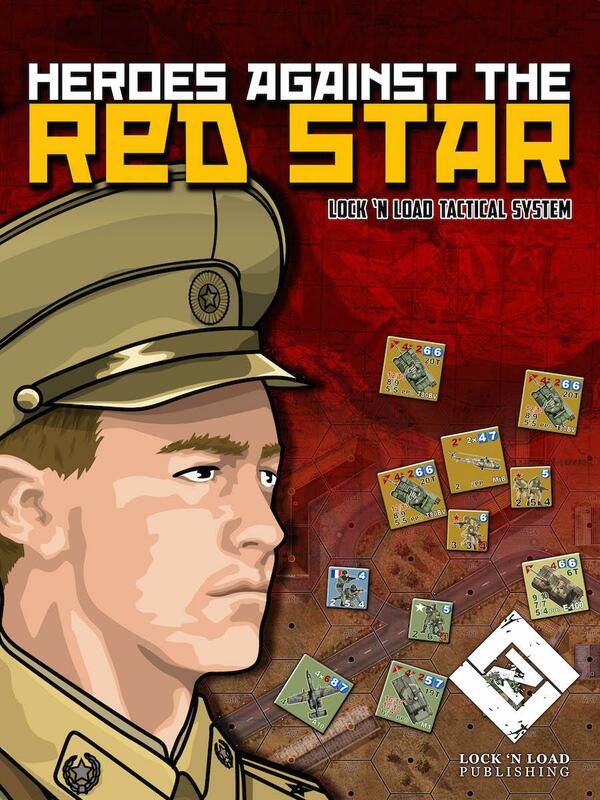 Heroes Against the Red Star is a complete Lock ‘n Load core game which brings the Lock ‘n Load Tactical system from West Germany to Paris, on the first days of World War III. You’ll command a bucket of 1985-era weaponry including Soviet T-80, T-72, T-64, and T-55 tanks Hind helicopters, Soviet infantry, paratroopers, BMPs, and all their accouterments of war - RPGs, RPKs, RPDs, you are free to do so. Your also forces representing French conscripts, the Foreign Legion, Paratroopers, and lots of tanks. You’ll match AMX30 B-2 tanks against the best Russian armor, direct Jaguar airstrikes, and recon enemy positions with ERC-90 and AMX 10RC armored cars. You get to play with anti-tank guided missiles (ATGM), which are easily depleted, advanced armor, advanced sights (thermal and night), fixed wing air support, and much more. Fight scenarios from the first probes by Soviet infantry to the ultimate, desperate clash for the Eisenbach Bridge. This is modern street fighting ;n the buildings, on the deck of the tanks. Requirements: No other product is required to play this game. This game contains some previously released material from Heroes of the Gap, Honneur et Patrie and Heroes of the Blitzkrieg.